Enrollment of U.S. military veterans in colleges and universities around the country has been substantially increasing in recent years, and experts predict that trend will continue. A recent story in the Washington Post pinpoints another, parallel trend. “Women are the fastest-growing cohort in the veteran community,” writes Ashley Nguyen. According to the U.S. Department of Veterans Affairs, there are currently 2.2 million women veterans, 700,000 of whom have served in the armed forces just since 9/11. 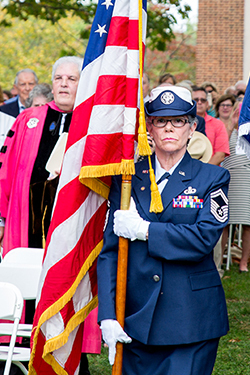 Among the women veterans currently at Sweet Briar College is Melanie Campbell ’06, director of admissions operations and a 23-year veteran of the U.S. Air Force. Campbell completed her B.A. at Sweet Briar and well understands what this college has to offer women veterans who want to pursue higher education. In a recent interview, Campbell explained that women veterans are used to living and working in an inclusive community whose members have a strong commitment to shared values and shared goals, a community where both leadership and teamwork are high priorities. Such an environment can be hard to come by in the civilian workplace and in larger institutions. 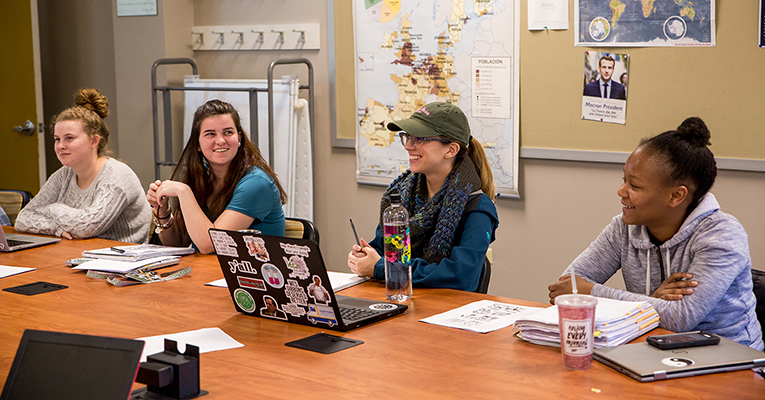 Classes at Sweet Briar average just eight students, with a student-to-faculty ratio of 5:1. Inclusivity, collaborative learning, teamwork and respect for differences are shared values in and outside the classroom at Sweet Briar. These values should make the transition to academic life easier for veterans in particular because they come from an environment where a sense of solidarity is essential to successful missions and even, in some situations, to individual and group survival. Campbell points out that places like Sweet Briar are especially valuable for women who have served in the military in Iraq and Afghanistan. After serving in a war zone, veterans need to know that they are in a safe place. The small size of the College, caring professors, an extensive support network available to students, and the beauty of the campus and its natural surroundings all foster a sense of security and well-being. Sweet Briar is also a good fit for women veterans in that they are used to being held to high standards and are expected to be strong and confident and not to conform readily to traditional gender stereotypes. These qualities are also true of Sweet Briar women. Campbell carries the flag at President Woo’s inauguration. Campbell notes that women join the service for different reasons — money, a way out of poverty, educational opportunities, a desire to travel and see the world, love of country and a desire to serve. She acknowledges that military service is not for everybody, but still finds it the best thing she ever did. Her father was career Air Force, and Campbell decided at the age of 7, immediately upon seeing a woman in an Air Force uniform, that she wanted to join the Air Force when she grew up. That is exactly what she did at the age of 22. She scored in the 99th percentile in the Air Force’s aptitude tests for administrative work, but training more women to be aircraft mechanics was a priority then, and Campbell, rising to the challenge, became one of the few women in the Air Force at the time to become a fighter aircraft crew chief/mechanic. Campbell worked on fighter jets, the F4E’s and F5E’s, for 3 1/2 years while stationed in Las Vegas, Nev., before being promoted and retrained for an administrative position involving flight operations. She was then stationed at Myrtle Beach, S.C., where she met her husband, who was serving as an aircraft mechanic in the Air Force. They were eventually stationed in Japan and later deployed to the Philippines, Singapore, South Korea, Alaska and Germany. At her last two duty stations, Campbell was the most senior-ranking person within her career field. By the time she retired, she had risen to the E-8 rank as a senior master sergeant, another impressive achievement. Only 3 percent of enlistees make that rank; there is only one rank above it for enlisted Air Force members, and only 1 percent of them attain it. Campbell believes not only that women veterans will appreciate Sweet Briar, but that they will be appreciated in turn. After all, who wouldn’t welcome more students and colleagues who know how to learn, how to face complicated questions and situations, how to accomplish difficult, long-term goals through hard work and perseverance, how to be both a valuable leader and team player? 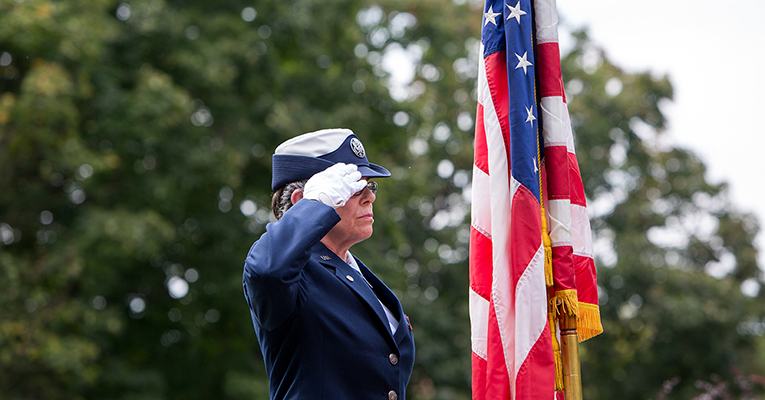 These strengths women veterans commonly possess. They are women of consequence and role models for other young women to emulate. 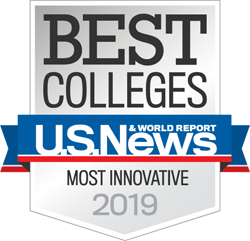 Veterans would like to know that Sweet Briar College honors the Yellow Ribbon Program and works with the veterans affairs office to ensure educational benefits are utilized and managed properly. 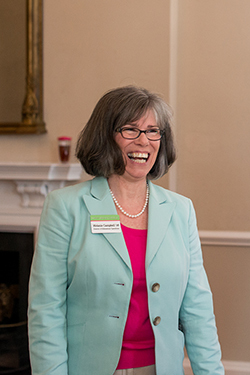 Cheryl Mares is the Sara Shallenberger Brown Professor of English at Sweet Briar College. She teaches modern and contemporary fiction and poetry, including postcolonial literature. Her research interests involve connections between literature, history and politics in contemporary fiction and in works by modernist writers, especially Virginia Woolf and Marcel Proust, on whom she has published a number of articles.